I'm reading: the camping lifeTweet this! This summer, we really took advantage of the weather and went on a few camping trips. We went to Joshua tree twice and Yosemite National Park. It was such an amazing experience! There's just something so peaceful and serene about being in the middle of nowhere and being surrounded by nature. I really enjoyed just walking around and taking photos. We've gotten better at packing for camping and invested in some equipment that makes it 1000 better. 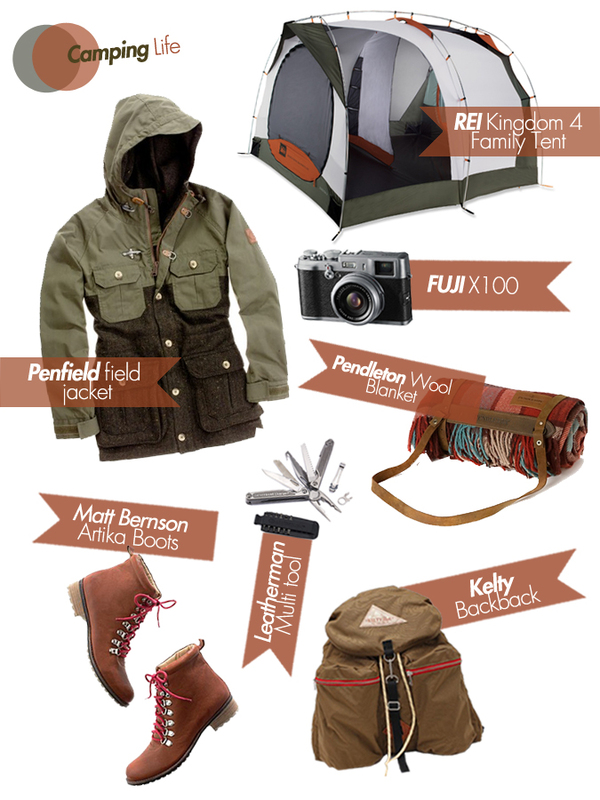 Here are a few items that I would love to splurge on for further camping trips. Hope you all are having a great week! What are your weekend plans? I am going to be attending a friend's wedding where there will be about 5 people there. Such a low key thing and I love it. It will be amazing! Can't wait to celebrate. i real like this post. you have great taste. I love camping ! me and my family and friends usually camp twice a year! I’ve been to so many Places but Yosemite is one of my favorite places, the cascades are incredible the vegetation is sooo green I really have no words to describe the beauty of that place.. Am not sure if you’ve been to Sequoia national park if so you know how beautiful that place is, if not I utterly recommend you go. I love everything you’ve chosen! I would love to have that Jacket and Artika boots! Now that you mention it I also have to update my camping equipment! Winter is near and am planning on visiting Big Bear and Mammoth Mountain! How exiting mother nature is a gift!! I like your style, great wish list! eeek! Just found your blog and I LOVE! great selection... I want everything on here. Perfect for Maine. Keep up the great work!